This week, the federal government announced that it would take more aggressive steps to retrieve 2,600 3-year DACA grants, including launching home visits for a small number of people. This move stems from developments in Texas v. United States, the legal challenge to expanded Deferred Action for Childhood Arrivals (DACA) and Deferred Action for Parents of Americans (DAPA). 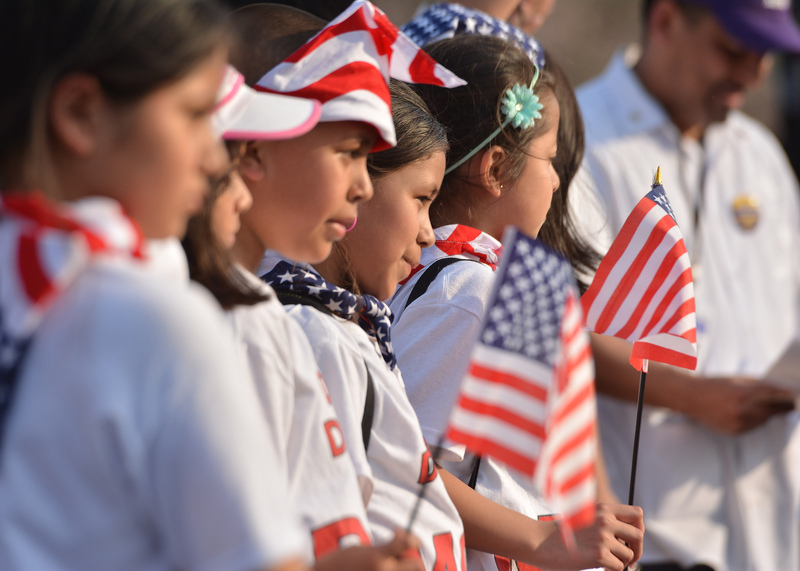 Expanded DACA and DAPA were announced in a memo by DHS Secretary Jeh Johnson. Among other things, that memo says that effective November 24, 2014, the United States Citizenship and Immigration Services (USCIS) was to begin issuing 3-year DACA grants to people who meet the requirements for the original DACA program. And that’s exactly what the government did. In fact, after that date, USCIS issued roughly 108,000 3-year DACA grants in the form of work permits. Then, on February 16, 2015, Andrew Hanen, the conservative judge presiding over Texas v. U.S., handed down a preliminary injunction that ordered a temporary halt to the implementation of expanded DACA and DAPA. That injunction, however, does not apply to the original (2012) DACA program, which has been and continues to operate normally. After February 16, 2015, the government stopped issuing 3-year work permits. However, being a large agency with many employees and adjudications offices set up throughout the country, USCIS inadvertently mailed about 2,600 3-year work permits after the injunction for people who qualified for 2012 DACA. The judge considers the issuance of these 2,600 work permits to violate his injunction. The government has been able to obtain some of these 3-year work permits, but not all. And Judge Hanen is up in arms. Calling the government’s attitude about rectifying the situation “cavalier,” the judge has taken the astonishing step of ordering the Secretary of Homeland Security to his court in Brownsville, Texas next month to explain why he should not be held in contempt. Judge Hanen has set a deadline of July 31 for an update on the status of the retractions. Which 3-year DACA grants is the government retracting? Only those 3-year DACA work permits that were issued or mailed to the DACA recipient after the date of the preliminary injunction in Texas v. United States (February 16, 2015) must be sent back. There are roughly 2,600 3-year DACA work permits that meet this description. Of these 2,600 grants, a small subset (“Group 2”) presents a particularly unusual situation: they were approved and mailed prior to the injunction, but returned to USCIS as undeliverable, and then subsequently re-mailed after the injunction. 3-year DACA work permits that were mailed before the injunction do not need to be sent back. The overwhelming majority of DACA recipients with 3-year work permits fall into this category. What is the government doing to retract these post-injunction 3-year DACA work permits? Individuals, other than those in Group 2, who received post-injunction 3-year work permits have been sent three letters from USCIS informing them of the need to send back their cards in exchange for a two-year card. The most recent letter––and the only one received by individuals in Group 2––threatened termination of DACA if the individual does not comply with the instructions set forth in the letter, which include a requirement that the DACA recipient appear in person at a USCIS field office. In addition to letters, USCIS customer service representatives have been placing phone calls to affected individuals. Finally, USCIS will begin taking the extraordinary step of sending plain-clothed USCIS officers to make home visits to retrieve the 3-year work permits. In addition to all of this, the government has been updating all relevant databases to reflect that these individuals are only authorized for employment for 2 years. Where can people who might have been issued post-injunction 3-year DACA work permits go for more information? The American Immigration Lawyers Association has posted – and made publicly available – a helpful Practice Alert that breaks everything down. It identifies all of the steps the government has taken and will continue to take in order to comply with the judge’s order. It also includes hyperlinks to the letters sent to affected individuals.